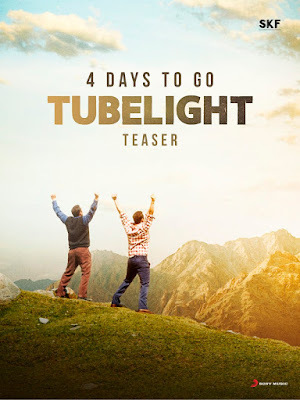 Tubelight Movie Did Not Open Well On Friday Before Eid In Ramadan Period and Collected 20.50 Cr On Its Opening Day which was Decent but Not Best For A Salman Khan Movie. Next Day Saturday Movie did not show growth In Its Collection and Remain Low With The Collection Of 19.50 Cr. Sunday saw a Little Growth and Collected 22.50 Cr but These Figures Is Encourage For Distributors. The First Weekend Of The movie Was 62.50 CR Net India Which was Good but Not Blockbuster For Salman Khan Movies. On The Day Of Eid Monday The Collection was Below Than Expectation and Collected Only 18.50 Cr. Movie Go Further Down In Collection and Drop 50% On First Wednesday and Collected Only 5.50 Cr which was poor. The Total Collection Of The Movie Till date Is 98.75 Cr. The Forcast For Lifetime Of This Movie Will Be 125 Cr Range which A Flop Status and A Disaster Status For Distributors because Distributors Will Lose Minimum 60% Of Investment.